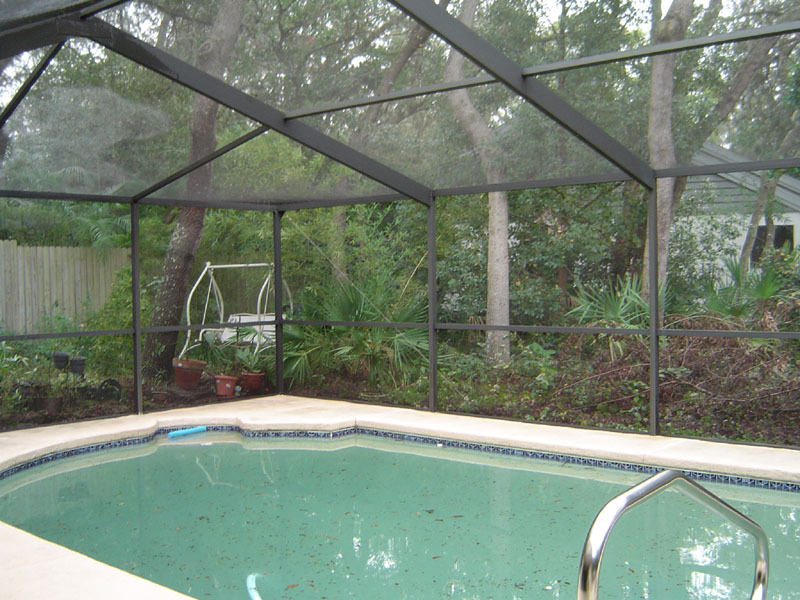 Many folks enjoy gathering around the family pool all year round here in Florida. 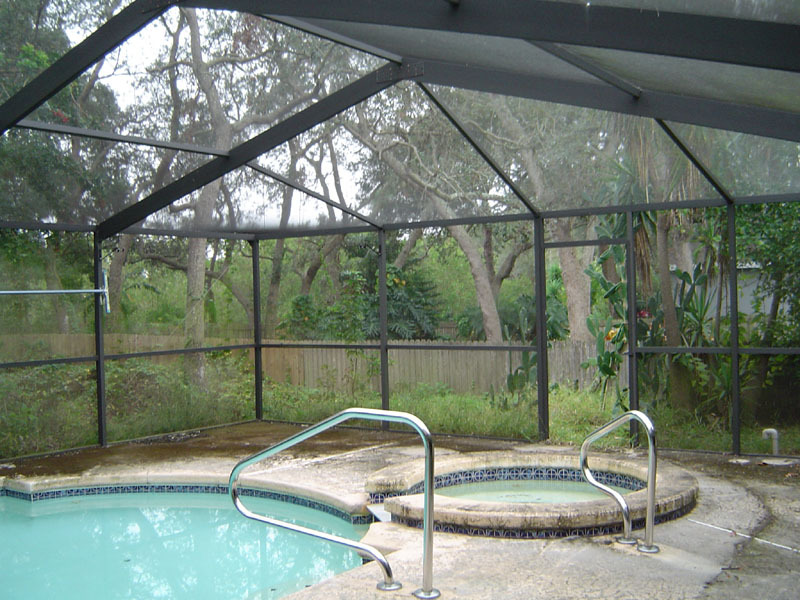 Its the perfect place to entertain, relax, have barbecues or to just cool off on a humid day. Unfortunately, you’re not alone when you think that this is a great place for a retreat, You do have unwanted guests. Mold, Mildew, Fungus, and bugs also believe that this is just the greatest place to hang out and grow. 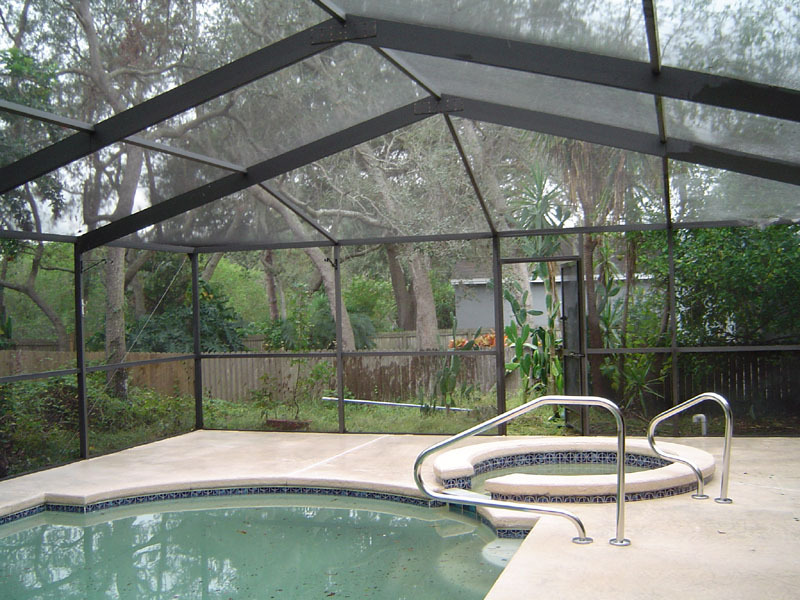 Pool decks (especially those that are enclosed) create a perfect environment for mold, algae, saprophytic fungus and their spores to grow and spread. These areas create a cooler, darker and moist habitat which is a perfect breeding ground for accelerated growth. 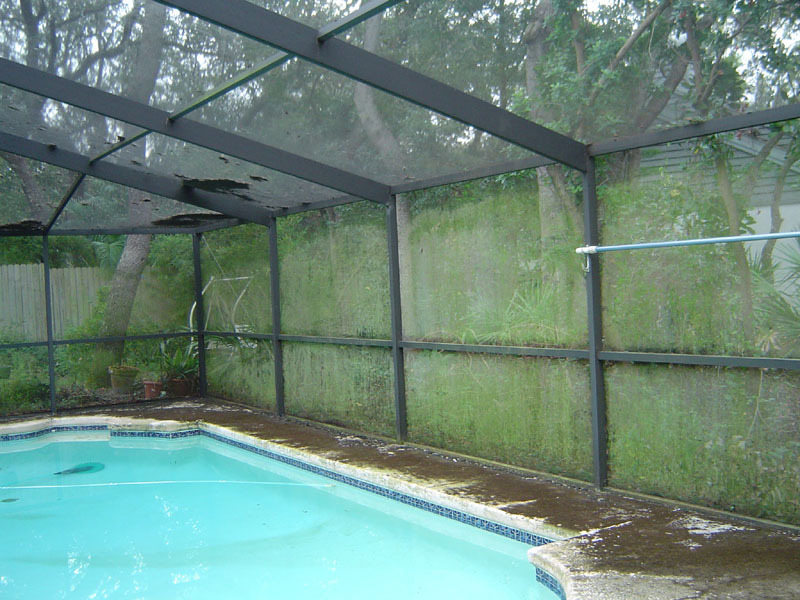 Once these spores have landed on your pool enclosure, and drip onto your pool deck, they begin to feed on organic matter including any organic materials used in the process of making products such as pool equipment, toys, patio furniture, etc… These and all items in its path, if left untreated, will eventually begin to breakdown and will need to be replaced. 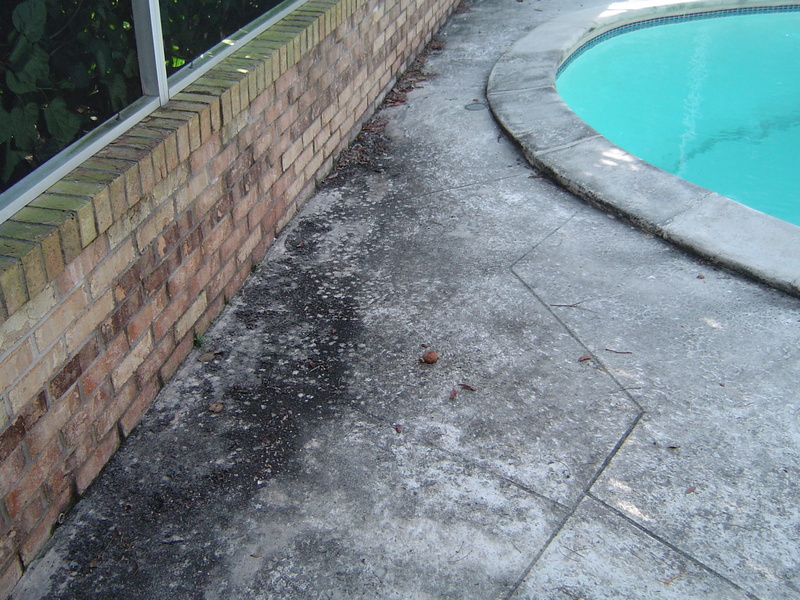 Sitting on patio furniture and walking around on pool decks in this condition can lead to health problems such as allergies, skin irritations, and foot fungus. It is also a well known fact that these spores are tracked into your home where they become airborne and are circulated by fans, air conditioning systems, and normal everyday traffic. 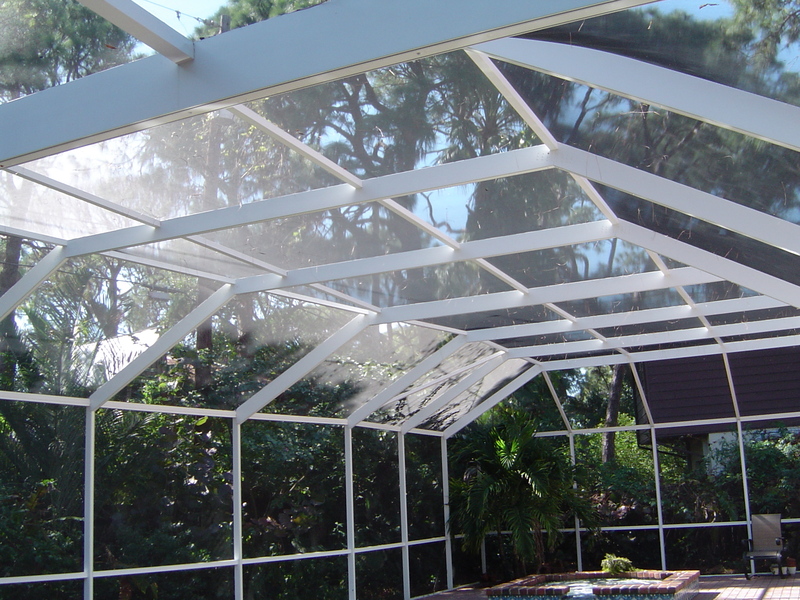 Having your pool deck, enclosure, and outdoor furniture professionally cleaned and sanitized can help to eliminate such problems from occurring. 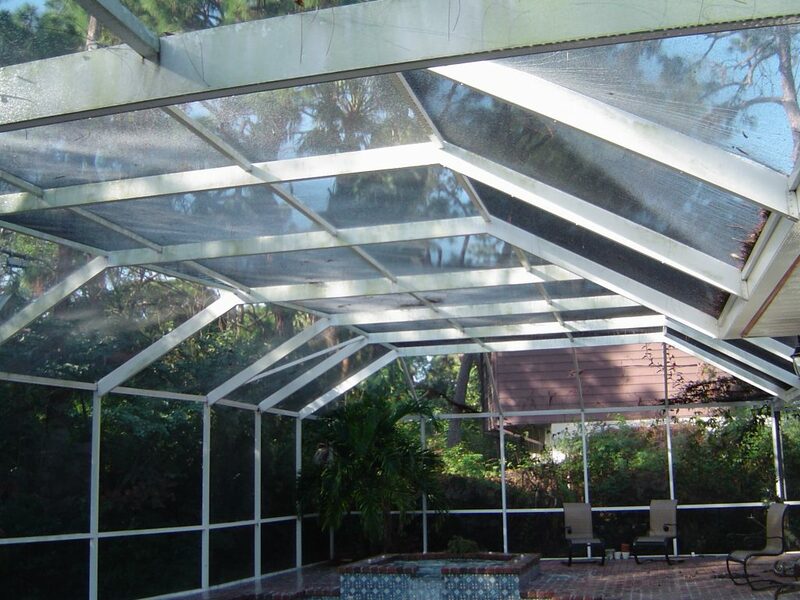 All Surface Pressure Cleaning will chemically treat your aluminum screen enclosures, screens, pool decking, and all patio furniture. We then apply a detergent to all surfaces and power wash them leaving you with a clean, fresh and safe environment to entertain the guests that you want, not the ones that you don’t want. 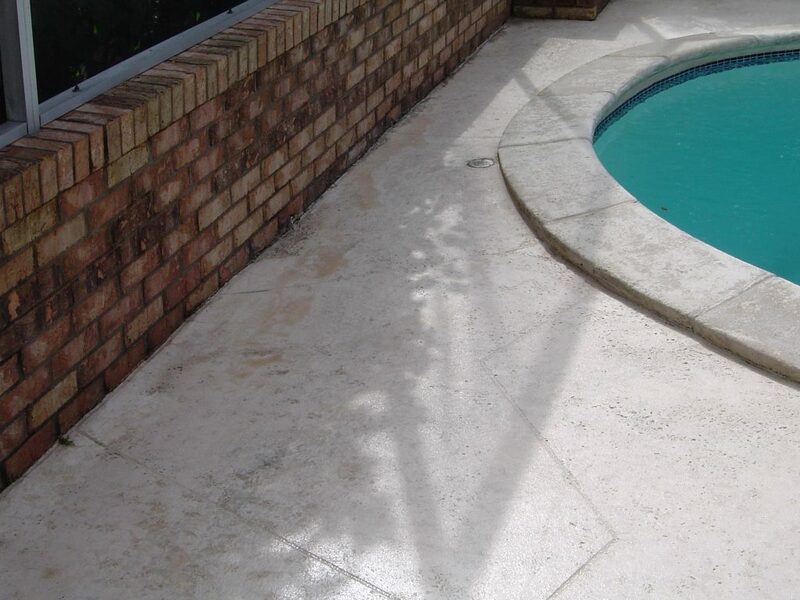 We specialize in Paver Deck Cleaning, Cool Deck Cleaning, Travertine Deck Cleaning, and Composite Wood Deck Cleaning. 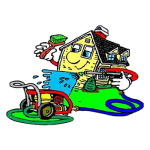 We are the team for all your Deck Cleaning job!